The ESIC payment due date is 15th of every following month, every employer has to make ESIC contributions payments on or before 15th of every following month. If any employer fails to file ESIC returns payment on right time then they have to pay the interest. Here you can find the ESIC due date circular and also know the details of ESIC late payment interest and ESI due date grace period. If the employer doesn’t make the ESIC remittance on or before the due date then they have to pay the penalty. In general, the penalty on late payment of ESI will be 12% of simple interest per annum. But you don’t need to calculate the penalty on late payment of ESI contributions. You can easily find it online and you can also pay it online. 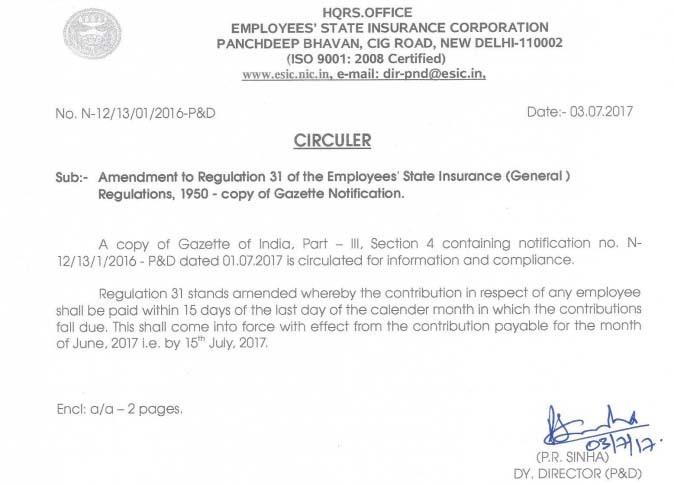 At present there is no grace period, every employer has to make the ESIC remittance payments on stipulated time, i.e on or before 15th of every next month. Step 1:- Login to employer ESIC portal with establishment user ID and password. 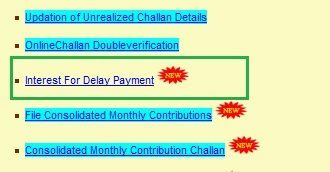 Step 2:- Under the monthly contribution section, there is an option called interest for delay payment, now click on that. Now you can find total interest amount pending due to late ESIC payments. Step 3:- Now click on submit and choose the bank for the transaction and make the payment. Note: You can make online payment either with State Bank of India or Bank of Baroda. Yes, the due date for payments of ESIC and PF are same, every employer has to make the PF and ESIC payments within 15 days after completion of every month, otherwise, they will be charged with penalties. Every employee can check how much contribution their employer has made toward ESIC in IP portal. Step 1:- To find the contribution amount go to ESIC IP Portal ( works only in Mozilla Firefox or Internet Explorer). Step 2:- Now enter your ESIC IP number and captcha appearing on the screen and click on login. Step 3:- Now in home page click on the contribution details, which will appear under employee section. Once you click on contribution details then you will find your ESIC contributions for the periods April to September and October to March.